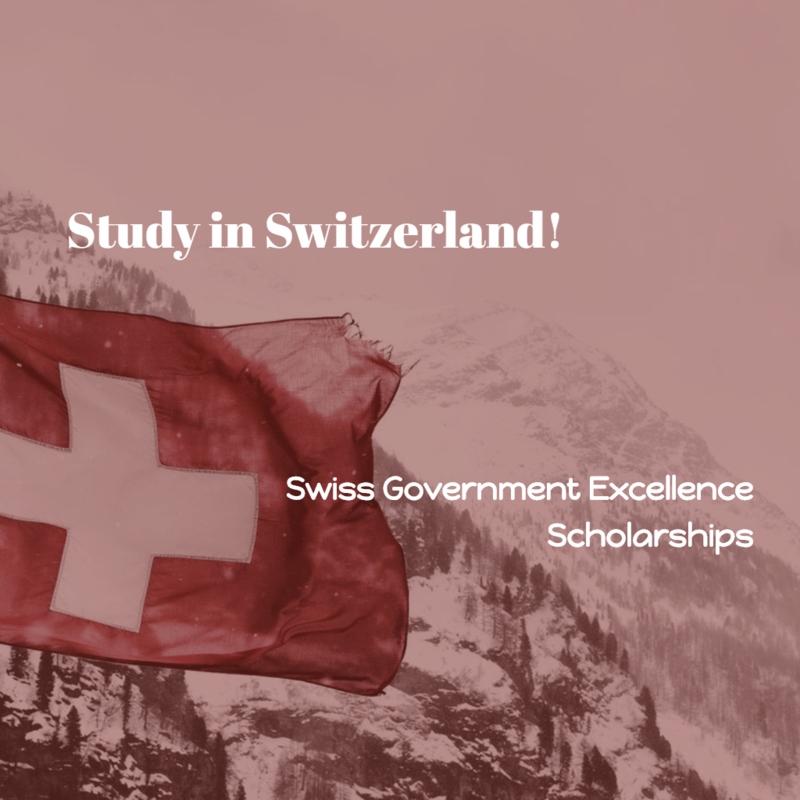 The Swiss Confederation awards the Government Excellence Scholarships annually to promote international exchange and research cooperation between Switzerland and over180 other countries. The awarding body, the Federal Commission for Scholarships for Foreign Students (FCS), selects recipients of these scholarships. Swiss Government Research Scholarships are aimed at young researchers from abroad who have completed a Master’s or a PhD, and are planning to go to Switzerland to pursue research or further studies at doctoral or postdoctoral level. Through this scholarship, selected applicants are able to undertake research in Switzerland, in the realm of their PhD or medical specialization. Applicants may study at the following institutions. Have a Master’s degree or its equivalent university degree, recognized by the Swiss university. The degree must be submitted to the FCS before the start of the scholarship as proof. Provide a letter from an academic host professor (including his/her short CV) at your Swiss university of choice, confirming why he/she is willing to supervise and support the research. Without this letter, the application will be rejected. Any applicant who has previously benefitted from a Swiss Government Scholarship is not eligible to apply for a second one. The application package is obtained from your local Swiss embassy or representative. Two confidential letters of recommendation from two different professors in the applicant’s field, written exclusively on the FCS reference form. The originals should be placed in sealed envelopes. Photocopies of grade sheets and certificates from previously attended universities/colleges and diplomas with grades, starting at the most recent. Certified translations in English are required for documents not in English, French, German or Italian. Two copies of the applicant’s passport, showing the main page with personal data. Dual nationals should add copies of both passports. Applicants who are already in Switzerland during the application procedure should add the ‘Permis B’ to their application. I am applying for the postdoctoral scholarship. I studied the all documents and up to now I can not find the forms or package. Please send me all forms, the following forms, and other information and forms that I need. the FCS needs the the foreign ministry or justice sign and stamp, too.